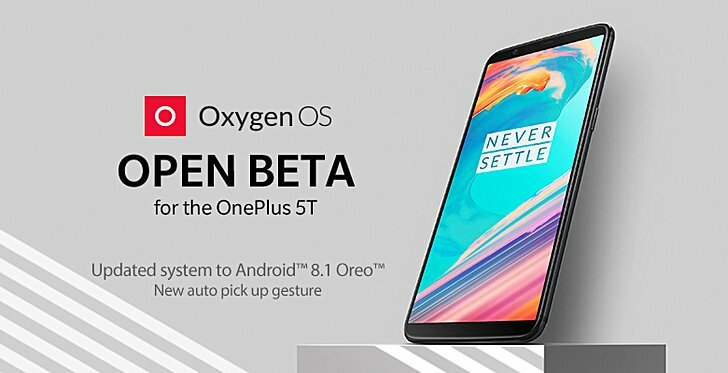 A new Open Beta build for the OnePlus 5 and 5T has started rolling out. The update brings a lot of changes, including a bump of Android version to 8.1 Oreo. As for other changes, you can now answer an incoming call by just raising your phone; then there are more clock styles for ambient display and gaming-related optimizations. The update also adds support to migrate application data as well as brings optimized full-screen gesture support (OP5T only). Android security fixes for the month of February are also included in the update. For more info, head to the Source links below.